Swedish researchers have discovered that taking too much of one of the world’s most well-known vitamins may contribute to kidney stones. That would be vitamin C, which most of us get quite enough of every day from our food. In a large study, comprising over 23,000 male participants, the researchers found a link between kidney stones and taking 1,000 milligrams of vitamin C supplements every day. This link did not exist for multivitamins (which contain smaller amounts of vitamin C), but only for vitamin C supplements in particular. About 436 of the 23,355 men in the study developed kidney stones bad enough to require a doctor. When the researchers analyzed the numbers, they found that men who routinely take vitamin C supplements (perhaps those who know their diet isn’t good, or who want to prevent a cold) had a 200% greater risk of kidney stones than men who didn’t take any supplements. MUST READ: 10 tips to prevent kidney stones. These stones form because your urine contains high levels of calcium, phosphorus, or oxalate. At low levels, these common minerals are fine, but at high levels they can crystalize. You might not even notice really small stones, which can pass through your urinary tract on their own. But we sure notice the big ones—they can cause significant pain and even block the flow of urine entirely. What’s really interesting is that researchers only found a link between taking vitamin C supplements and kidney stones, and not between eating foods rich in vitamin C and kidney stones. Good news: you can eat a wide range of fruit and vegetables containing heaping amounts of vitamin C, and that will negate the need to take supplements at all. Your recommended intake of vitamin C is generally far lower than the high amounts found in supplements. 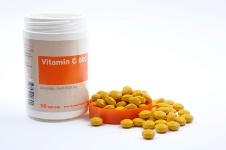 As it stands, there are no really good reasons why you should regularly take high doses of vitamin C supplements. If your immune system is down and you want to fight or prevent an infection during the cold and flu season, then you should consider it. But in general, you don’t need vitamin C supplements, particularly if you are already at risk of developing kidney stones. Thomas, L., et al., “Ascorbic Acid Supplements and Kidney Stone Incidence Among Men: A Prospective Study,” JAMA Internal Medicine; published online February 4, 2013.